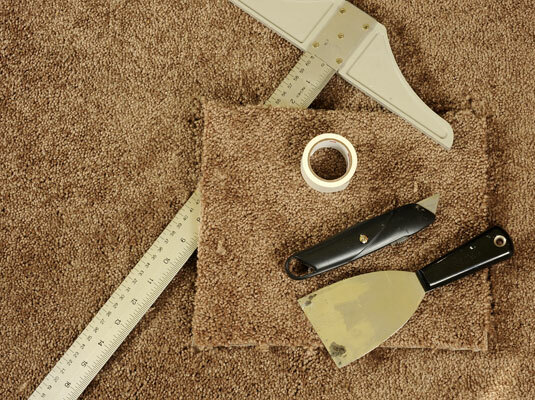 Gather your tools: Carpet remnant, roll of double-sided carpet tape, tube of seam adhesive, putty knife, utility knife, T-square. Instead of a utility knife, you could buy a special carpeting tool called a cookie cutter. 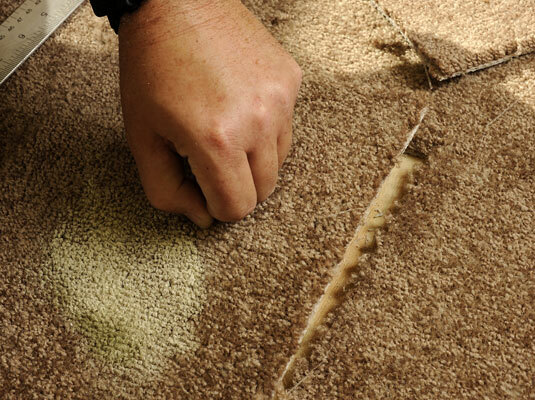 Twist the cookie cutter back and forth to cut through the remnant and damaged carpet at the same time. 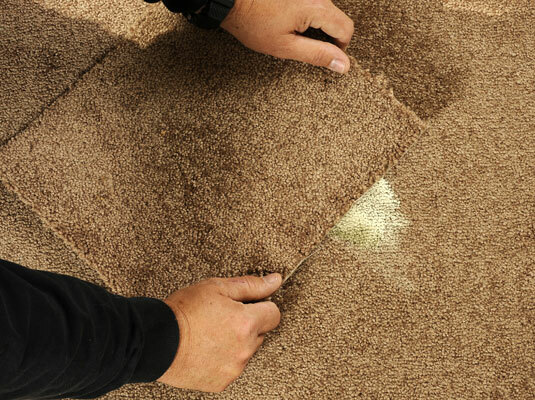 Position your carpet remnant over the damaged area. 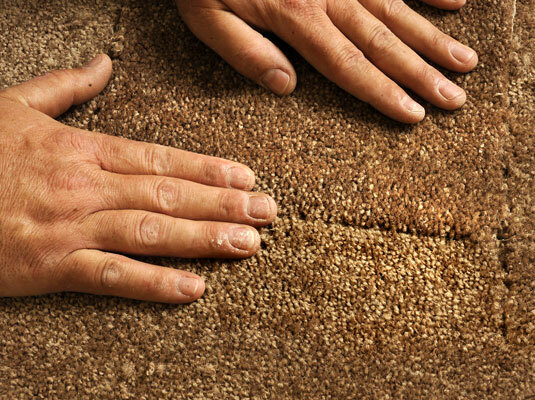 Be sure to line up any pattern in the carpets. Cut through the remnant and the stained carpet at the same time. 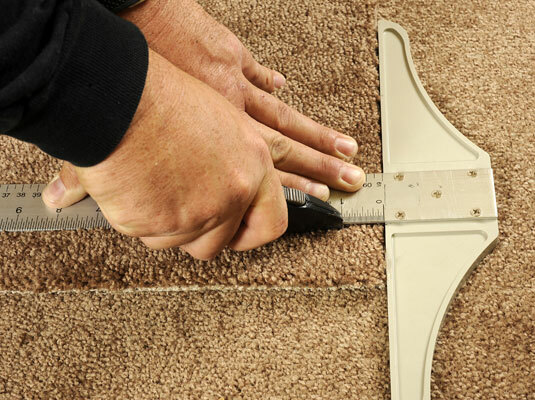 If you are using the utility knife, use the T-square to help you cut a square through both carpets that is slightly larger than the stain. Be sure to move the pile to one side or the other so that you don’t end up cutting the pile in half. 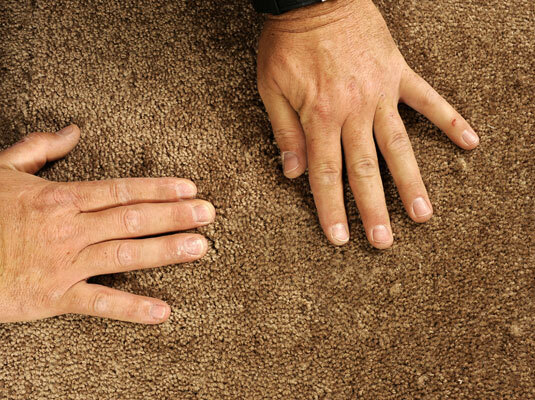 Grab hold of the carpet’s nap to pull it straight out. Set the patch loosely in the hole. Don’t tape down the patch yet! You need to set it in the hole first to check the direction of the pile. Push the nap in one direction to test the nap. Compare the look of the patch with the rest of the floor. If there is any difference in color and pattern, the patch is facing the wrong direction. Reposition the patch and push the nap again. 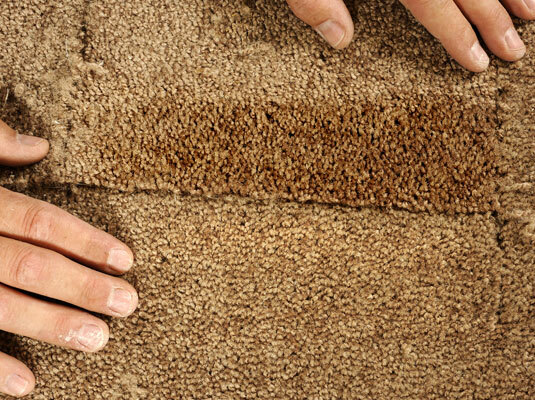 Keep repositioning and brushing the nap until the patch blends with the rest of the carpet. Remove the patch and squeeze seam adhesive on the edges. 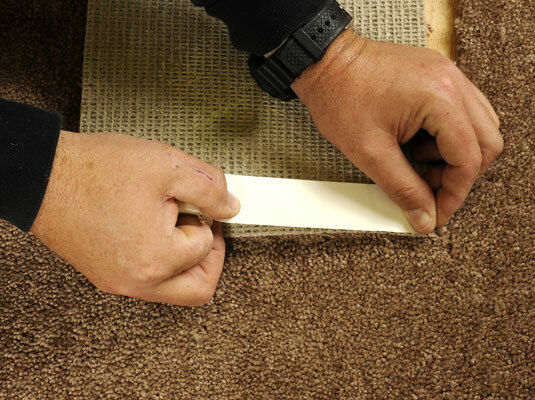 Applying seam adhesive to the edge of the pile carpet patch will prevent the loops and strands from unraveling. Be sure to let the adhesive dry. Put double-sided carpet tape on the floor. 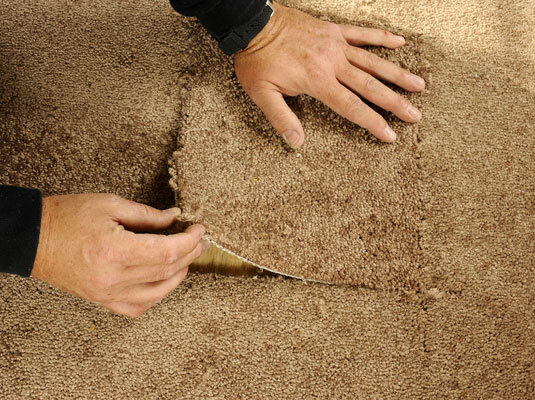 Apply the double-sided carpet tape to the outer edge of the hole in the carpet. Press the new patch into the cutout area. 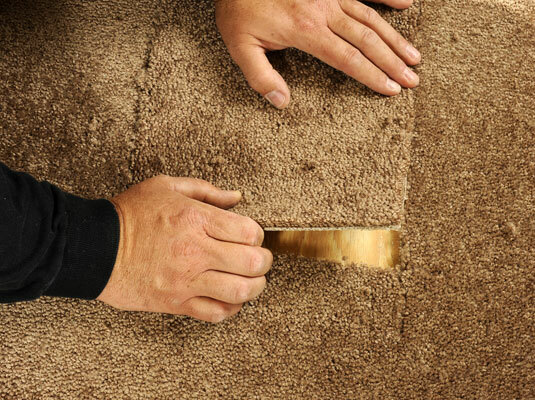 Lay the patch into the hole in the carpet. Be sure to line up any patterns. Use both hands to press down on the patch. This will help the carpet tape take hold of the patch.